Happy Tuesday friends! It's that time again! I just received the November PopSugar Must Have Box and it is so good! Can I just say when these pink boxes arrive at the door, it's like a monthly Christmas present? These bring me so much joy! I do my best to avoid temptation of seeing what is in them online until they actually get to my door so I don't ruin the surprise, ha! November's box might be my favorite so far and it didn't disappoint! I love the mix of household goods with beauty favorites that is with I'm pretty sure all of the boxes I've received from them. I'm a huge household goods fan so things like bowls (which was in this months!) and novelty items are so up my alley! And what girl doesn't enjoy makeup in the box too? All of these boxes have at least $100 value of new items to try! 1. PEHR Chambray Runner in Wine ($44) - Such a great size at 90" x 14"! I love that you could use this for both the fall and winter & really like the weft edges! 2. 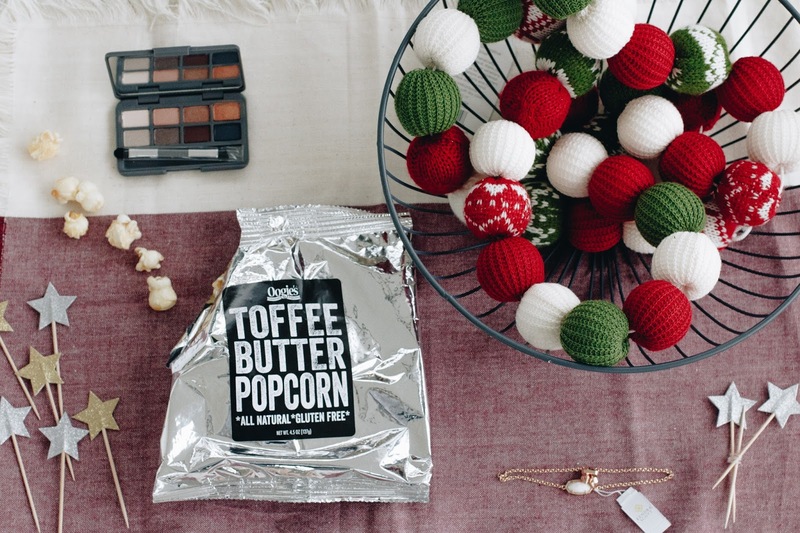 Oogies Toffee Butter Popcorn ($2.99) - Gluten free, rich & addicting!! 3. 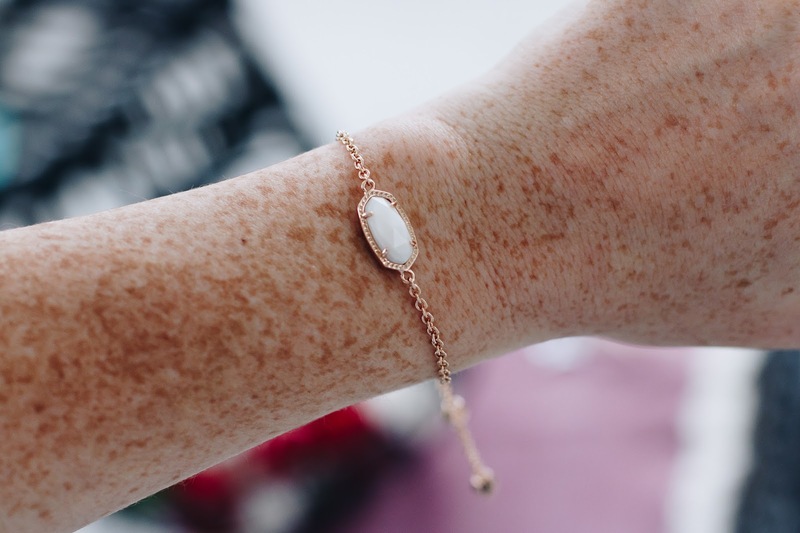 Kendra Scott Elaina Rose Gold Bracelet in White Pearl ($50) - I can already tell I'm going to have an addiction to Kendra Scott. I love this daintiness of it and anything rose gold, I'll take two of. The bolo style closure makes this so unique - yay for a bracelet you don't need assistance with to help put it on! 4. Meri Meri Star Party Picks ($8) Perfect for a holiday party or save until New Years! These would be adorable on a bar cart too. I know Viv will want to help me decorate cupcakes with these! 5. 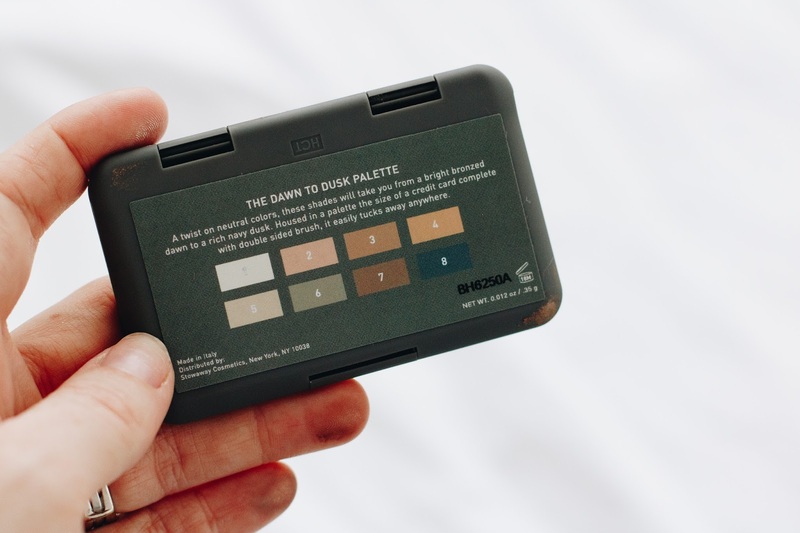 Stowaway Dawn To Dusk Eye Palette ($25) - Paraben free and this thing is so compact and perfect for on the go! 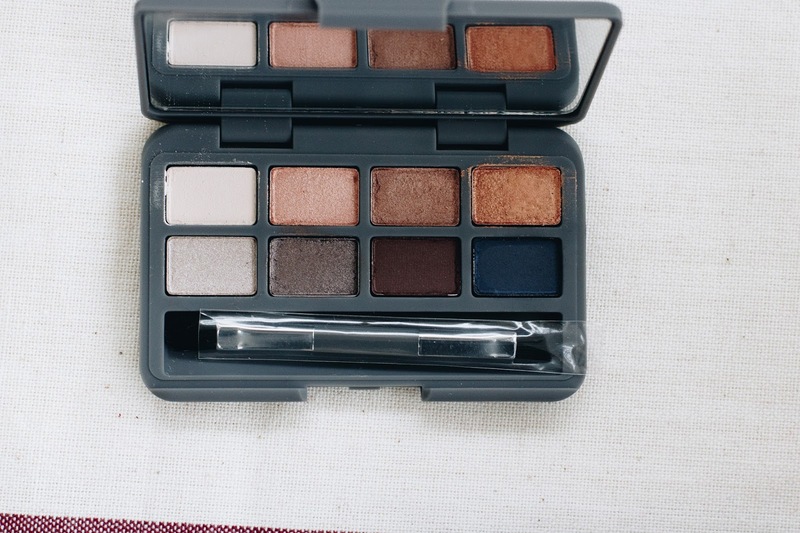 It's about the size of a credit card, features a full mirror, & 8 gorgeous shades! They have a super buttery texture and pretty good pigment payoff! 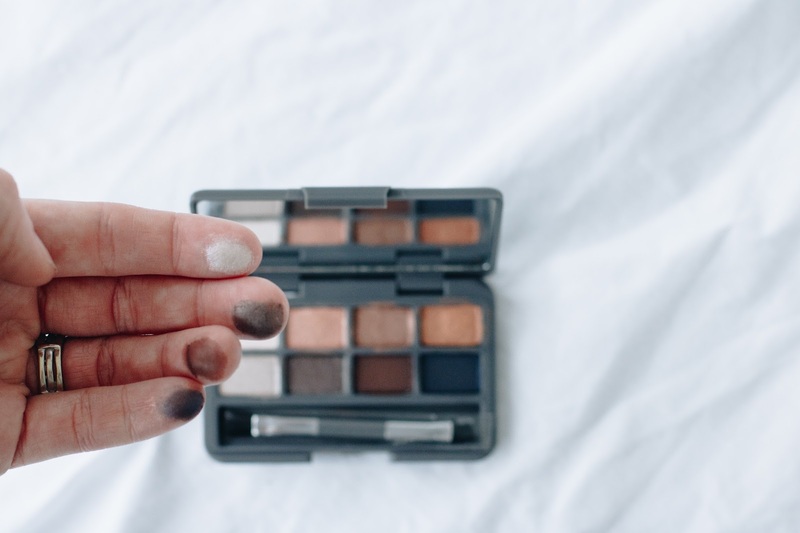 All of these are pretty neutral and great for different skin tones! 6. AJ Goods Nest Wire Bowl ($35) - You can never have too many baskets! You have so many options on where to place this! Use it as a fruit bowl in your kitchen, a decorate accent by hanging it, on a dining room table with decorative accents, even in the bathroom as a novelty item! I haven't decided where I want to use mine yet! Also included in the box were coupons! 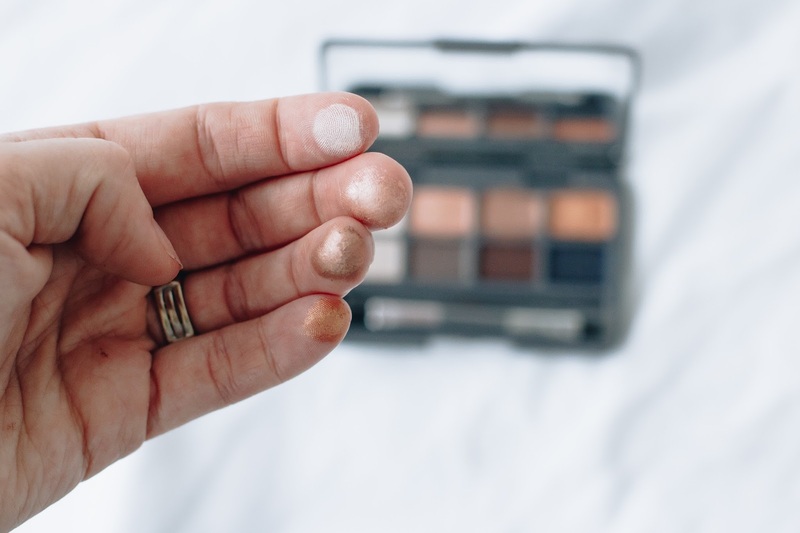 25% off PEHR, 25% off Stowaway, & 20% off Kendra Scott! What do you guys think of the November PopSugar Must Have Box?